An Italian grape, fondly referred to as the 'rascal' Pale yellow straw colour, with an aromatic bouquet. Intense and rich palate with nutty overtones. A wonderful full bodied wine. An Italian grape, fondly referred to as the ‘rascal’. Pale yellow straw colour, with an aromatic bouquet. Intense and rich palate with nutty overtones. A wonderful full bodied wine. Winemaking: Fruit was crushed and pressed within 2 hours of harvest. The Juice was cooled to 10 degrees C, settled and racked after 36 hours. Fermentation was performed at 13-15 degrees C. It was fermented to dryness within 21 days. After this the wine was left on lees for 2 weeks before the wine was racked. Further fining and cold stabilisation took place prior to bottling in June. History: Arneis is a white Italian grape variety originating from the Piedmont, Italy. The word Arneis literally translates to the little rascal in Piemontese, and is often called thus because it is regarded as a somewhat difficult variety to grow. It is a crisp, floral varietal, and has been grown for centuries in the region. 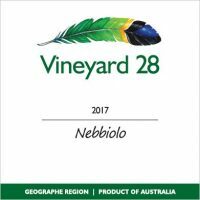 Historically the Arneis was often planted alongside the Nebbiolo grape with the intention that it would attract the birds, and protect the Nebbiolo crop. For many centuries Arneis was blended with the Nebbiolo to soften the tannins, but this practice mostly disappeared by the 20th Century. Food Pairing: Seafood or chicken accompanied by creamy sauces, such as a Garlic Cream Sauce. Cellaring: Up to 3 years. 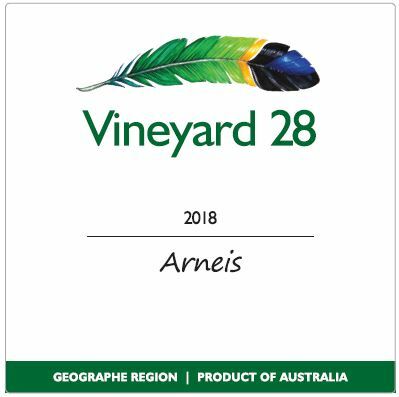 Watch the video to hear our winemaker Mark Cumbers tell you about Vineyard 28’s Arneis. Our Arneis was also a runner-up for the Best of the West – Alternative White Variety, in the 2017 West Australian Wine Guide. Why not try it for yourself and see what you think? Drop in to Vineyard 28, we are located just off Forrest Hwy, an easy detour and a great place to stop. Free tastings at our cellar door, plus quilts, arts and more. Lovely trees to have a picnic under, drop in, we would love to see you. See our map for more directions.